The NCAA College Football season provides football fans with another great opportunity to wager on great games in a competiti ve league filled with young players trying to make a name for themselves. Games are slightly more unpredictable due to consistently rotating rosters along with many other key factors. However, the gap between lower ranked and higher ranked teams is much larger than in the NFL. This makes some wins easier to predict. On this page, we have a look at the types of bets and odds available for NCAA College Football games. The one important that bettors understand how football is played before placing any wagers on NCAA Football or NFL games. In order to make successful bets more often, you need to understand the difference between spread and total betting as well as how to analyse analytics that will aid you in making more successful predictions. Spread betting has been popular with US bookmakers for some time now. The basic aim of spread bets is to reduce the bias within matchups with a natural favourites and underdogs. Spread bets focus on attempting to predict how much the favoured team is likely to win by. For example, should Alabama make it to the final of the Championship game against a lower ranked team, spread bet will state the predicted scoreline. Bettors then place wagers on teams to win by a larger margin or for the underdog to win. If the suggested sports bookie’s predicted margin is found to be correct, all bets will be refunded. It is important to note that when you bet against the spread, odds will be expressed with a minus sign in front of it. For example, if bookies believe that Alabama will win their next matchup by 10 points, the odds for bets against the spread will be expressed as -110. Basically, this means that bettors risk $1.10 to win $1.00. The extra ten cents is referred to as a “juice” or a “vig”. One way to increase your chances of placing successful bets is to examine NCAA Football betting trends. Most bettors leaning one way may be a sign of particular trends, such as a team usually being successful or unsuccessful at a particular time of the season.While you shouldn’t rely on trends, they’re a way of getting a consensus of how people feel about a game. Total betting is rather simple to understand. Basically, bettors attempt to predict the total number of points that will be scored in a particular game. Sports books will set a predicted total for a particular game, then bettors can select to place over or under bets. Over bets suggest that a game’s final total will be more than the total selected by the betting site, whereas under bets suggest that total be lower than it. These are fun side bets to place on your overall betting sheet. Moneyline betting is probably the most common type of bet made at sports books no matter what the sport is. These bets simply allow bettors to select the winner of a matchup without focusing on point spreads or other stats. The deal here though is that bettors have to wager a greater “juice” when betting on favoured teams than with spread bets just to make a profit. Bettors who bet on the underdog in a match up outright have a chance of winning a greater profit with less money simply because they’re betting against the house. It is important to note that betting on favoured teams with moneyline bets is quite risky. (Or, at the very least less profitable than one would hope.) For example, if Alabama is favoured to win the Championship with +350 odds, moneyline bets placed on Alabama to win will pay out $1 for every $3.50 bet. However, should you bet on an underdog with -350 odds, bettors will receive $3.50 for every $1 bet. 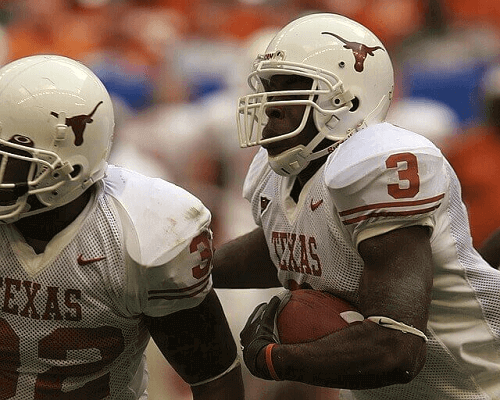 There are loads of wonderful bets that can be made NCAA Football games. However, before making a bet, it is important to ensure that you research the factors surrounding the outcome you’re predicting. This does not only mean the spread, but also a load of other aspects such as team strengths and weaknesses. If you do all this, you are likely to place successful bets more often than not.